​Softly Wired is a series of new works by Bathurst artist Karen Golland. The work features four pastel handkerchiefs threaded with rows of wired running stitches that give the old cotton fabric new form. Dash. Space. Dash. The hankies now appear frozen in time. Each sits on its own circular mirror on the floor, making it seem larger than life. 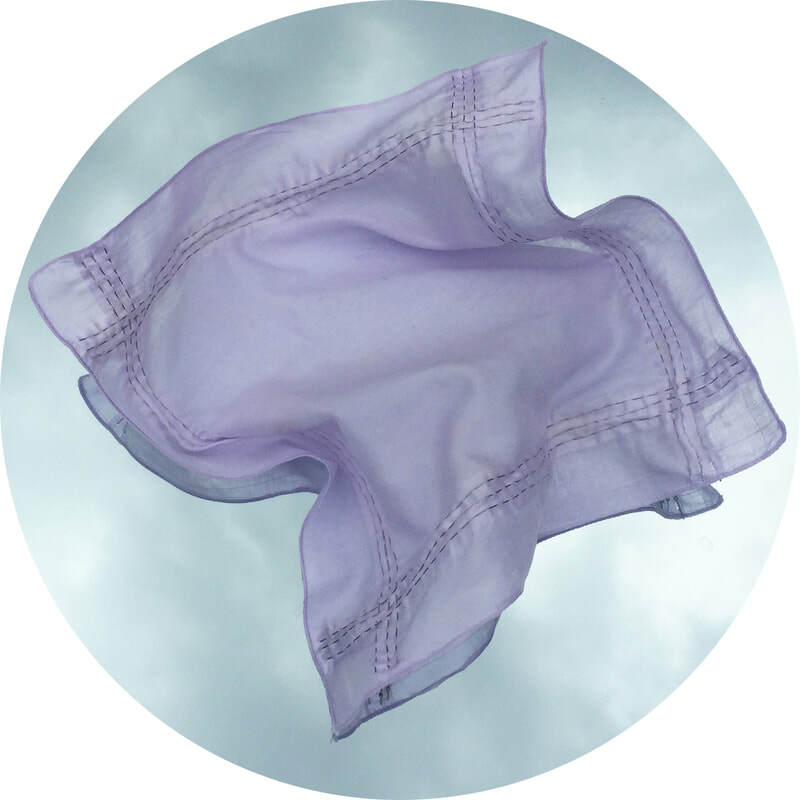 These handkerchiefs have escaped from a much larger collection passed down through Karen’s family for generations, gathering carefully ironed contributions as it went. The collected outgrew one chocolate box only to fill another and another. By the time Karen inherited the collection there were two hundred and twenty handkerchiefs. Handkerchiefs have a past. They have been used for waving, remembering, signalling, gifting, sneezing, protecting, mending, embellishing, nursing, messaging, crying, dabbing, collecting. When they were dropped in childhood games you had to run as fast as you could or you’d lose your place. Sometimes they were the secret language of lovers. Softly Wired forms part of larger body of work that uses inherited collections to explore the role objects play in conjuring personal narratives and histories. The works draw on the intimate pleasure found in collecting precious and mundane things and details how the meaning of these collections slips and changes when we die. These works deliberately embellish the past, reflecting the complexities inherent in remembering those who have died.